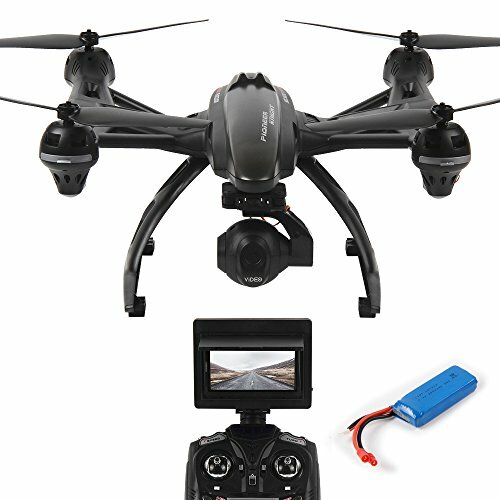 The JXD 507G 2.4GHz RC Drone features 2MP camera that let you enjoy all the scenery, with 5.8G FPV system, you can enjoy real time monitoring, which means you can watch the video while recording with the foldable remote controller. It also allows vertical shooting, you can shoot videos and pictures in 90-degree range with high-quality via manual adjust the camera. 【ALTITUDE HOLD MODE】 Because of the Built-in AIR PRESSURE SENSOR: Make sure the throttle stick at the middle position, when you push the throttle stick and then release, the RC drone will automatically set the height. 【AMAZING CONTROLLER 】Multi-speed controls offers the option of slow, medium, or fast control response. The control also has a Panic Button which turns off the blades if needed. If you have any questions about this product by DAZHONG, contact us by completing and submitting the form below. If you are looking for a specif part number, please include it with your message.